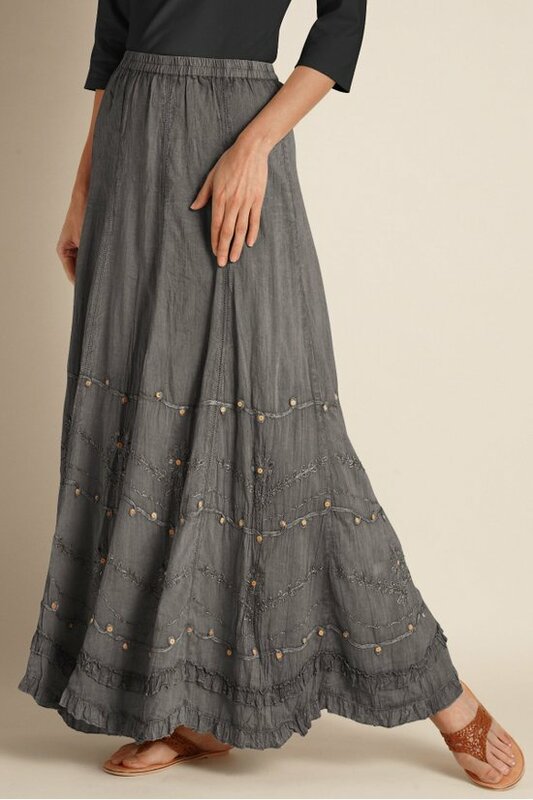 Elaborate embellishments - hand-sewn beading, embroidery and tonal soutache - add a touch of boho chic to this soft vintage-washed crinkled cotton skirt. Double rows of petite ruffles accent the scalloped hem. Easy-to-wear elastic waist, fully lined. Sits at natural waist. Misses 38" long. Hand Wash Cold Separately, Hang To Dry, Warm Iron If Needed, Do Not Iron Decorataion, Do Not Dry Clean.